Our lightweight scanner that enables 2-second global visibility. Cloud Agent revealed that a tiny fraction of our desktops accounted for around 50 percent of our critical vulnerabilities—enabling us to obtain a dramatic improvement in our overall security posture for relatively little effort. Cloud Agents work where it’s not possible or practical to do network scanning. They’re our preferred method for assets like dynamic IP client machines, remote/roaming users, static and ephemeral cloud instances, and systems sensitive to external scanning. 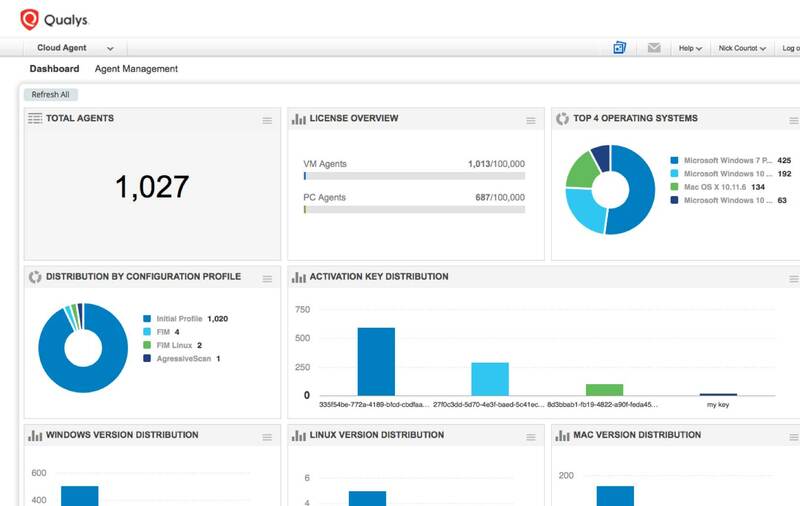 Cloud Agents collect data from across your entire infrastructure, and consolidate it in the Qualys Cloud Platform for you to view. The Cloud Agent can be installed on any host, such as a laptop, desktop, server, or virtual machine—on premises, mobile, or in the cloud. It can be easily deployed via a compact, silent installer <3MB in size; via common software management automation; or via the command line. The agent is designed to have minimal impact on the system and the network. It normally consumes <2% of CPU resources, peaking at 5% during normal operation. It’s self-updating and self-healing, keeping itself up to date with no need to reboot. 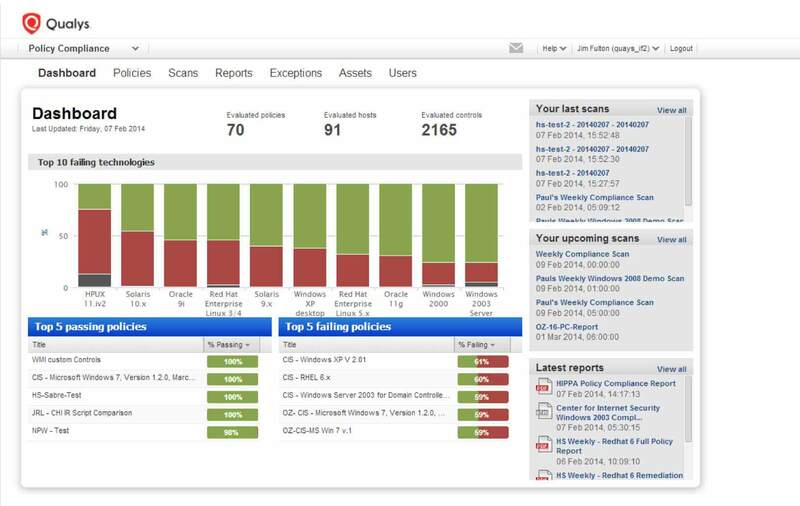 First, Cloud Agents run a full configuration assessment of their host in the background and upload the collected data to the Qualys Cloud Platform for analysis. Then, as soon as changes occur, Cloud Agents push updates to the central Cloud Platform, rather than the central system polling agents for updates. Cloud Agent communication is optimized to support large-scale agent deployments, while providing flexible and granular performance configuration controls. Organizations can fine-tune agent performance and bandwidth usage for their specific environment requirements. Qualys Cloud Agents bring additional, continuous monitoring capabilities to our Vulnerability Management tools. This eliminates the need for establishing scanning windows or integrations with credential vaults for systems, as well as the need to actually know where a particular asset resides. Combine network scans with Cloud Agents for devices where it is not practical to install agents—firewalls, routers, etc. The Cloud Agent turns the Qualys Policy Compliance offering into a real-time solution and extends it to endpoints, which until now could not be assessed by traditional network scanning solutions. Data is always up to date and requires no credential management or complex remote access through a firewall. 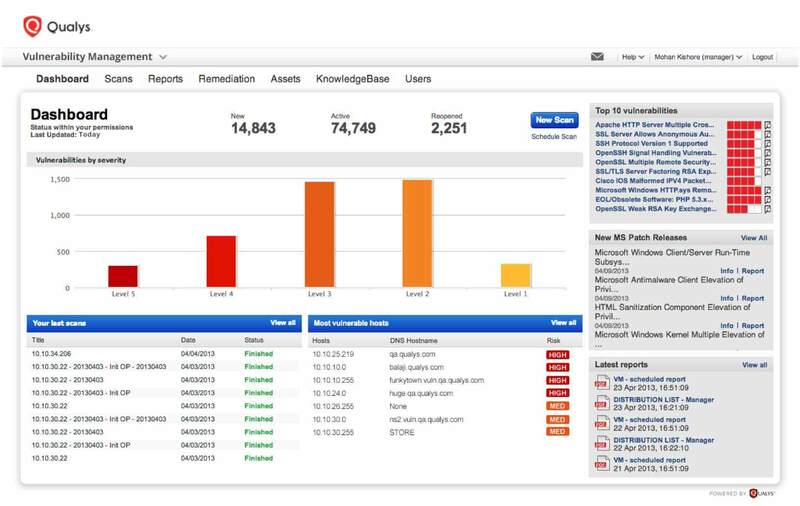 Qualys Cloud Agent architecture greatly simplifies asset discovery and tracking as well as security and compliance monitoring in highly dynamic cloud environment like Amazon EC2 and Microsoft Azure since it gives customers the ability to embed the agent into the master images of their cloud servers. All the data collected by the Qualys Cloud Agent installed in an IT environment resides within the Qualys Cloud Platform. Qualys’ extensive and easy-to-use XML API makes it easy to integrate your data with third-party tools.